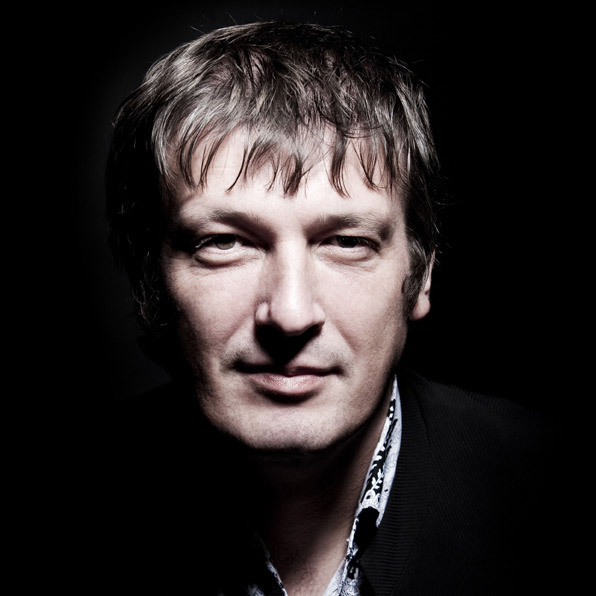 Boris Berezovsky has established a great reputation, both as the most powerful of virtuoso pianists and as a musician gifted with a unique insight and a great sensitivity. Born in Moscow, Boris Berezovsky studied at the Moscow Conservatory with Eliso Virsaladze and privately with Alexander Satz. Subsequent to his London debut at the Wigmore Hall in 1988, The Times described him as an artist of exceptional promise, a player of dazzling virtuosity and formidable power. Two years later, he won the Gold Medal at the 1990 International Tchaïkovsky Competition in Moscow. Boris Berezovsky is often invited to the most prestigious international recitals series : The Berlin Philharmonic Piano serie, Concertgebouw International piano serie and the Royal Festival Hall Internatinal Piano series in London, to the great stages as the Théâtre des Champs-Elysées in Paris, the Palace of fine Arts in Brussells, the Konzerthaus of Vienna, the Megaron in Athena… and to the most famous internatonal festivals in Verbier, Salzbourg, la Roque d’Anthéron… His partners in Chamber Music are Brigitte Engerer, Vadim Repin, Dmitri Makhtin, and Alexander Kniazev. With Teldec, Boris Berezovksy has recorded works of Chopin, Schumann, Rachmaninov, Mussorgsky, Balakirev, Medtner, Ravel and the complete Liszt Transcendental Studies. His recording of the Rachmaninov sonatas was awarded the Preis der Deutschen Schallplattenkritik and his Ravel disc was recommended by Le Monde de la Musique, Diapason, The BBC Music Magazine and the Sunday Independent. Boris Berezovsky also won the BBC Music Magazine Awards in March 2006 as Best Instrumentalist. In August 2004, the DVD of The Tchaïkovsky Pieces for piano, violin and cello and Trio Elegiaque “A La Mémoire d’un grand artiste” recorded by the Trio B.Berezovsky, D.Makhtin, A.Kniazev received the Diapason d’Or. The DVD was broadcasted on the TV channels ARTE and NHK in Japan. In October 2004, with Warner Classics International, Boris Berezovsky, Alexander Kniazev and Dmitri Makhtin recorded the Shostakovitch Trio n°2 and Rachmaninov Trio Elégiaque n°2, which were awarded Choc de la Musique in France, the Gramophone in England, and the Echo Classic 2005 in Germany. His solo live recording Chopin/Godowsky which got released in January 2006, received the Diapason d’Or and the RTL d’Or. With Mirare, Boris Berezovsky recorded the Rachmaninov Preludes as well as the complete Rachmaninov Piano concertos with the Ural Philharmonic Orchestra conducted by Dmitri Liss, and another CD for two pianos dedicated to Rachmaninov with Brigitte Engerer which received several great prizes. He recorded live at the Royal Festival Hall of London and at La Grange de Meslay in Tours, a CD devoted to Liszt. The artist also recorded with his partners : Brigitte Engerer and Henri Demarquette Saint-Saëns’s Carnaval des Animaux (CHOC of the year 2010) / Ural Philharmonic Orchestra and Dmitri Liss thesecond Brahms’s concerto / the Liebeslieder-Walzer of Brahms with Brigitte Engerer. His next engagements include, among others, concerts with : Orchestre de Paris/Kirill Petrenko and Yutaka Sado, Hungarian Philharmonic Orchestra/Zoltan Kocis, Orchestre National de Lyon/Josep Pons – tours in Asia with the NHK Orchestra, in Great Britain with the Orchestre de la Suisse Romande/Neeme Jarvi, in Germany with the Deutsches Symphony-Orchester/Tugan Sokhiev and with the Radio Symphony Orchestra Berlin/Marek Janowsky – recitals and chamber music in the most prestigious halls.